Modular homes are becoming more popular all the time, especially in northeastern and midwestern United States. What are modular homes? They are homes that are built at a factory in modules or sections, and then moved to a building site and installed. Modular homes are often compared to mobile homes, but unlike mobile homes, modular homes are constructed to be permanently installed on a foundation and to meet all state, local, and regional building codes where the home will be located. Plans for modular homes come in as many sizes and styles as traditional homes built directly on-site. 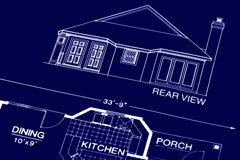 You can choose a modular home plan that is a ranch, cape, bungalow, two-story, or even multi-family. When it comes to building your modular home, the most important step is selecting a house plan that fits your needs and style preferences. With the variety of standard plans offered, it's usually not difficult to find one that will ideally suit your lifestyle. There is much to be said for choosing a standard plan. Because the designing, engineering, and pricing have already been done by the manufacturer, choosing a standard plan means that the job is simplified, which saves the buyer time and money. Most standard plans can be modified slightly by changing things like walls, kitchens, and bathrooms. For buyers who desire to save even more money, most modular home dealers offer several heavily discounted plans. The trade-off is that the buyer is only allowed to make a few minor changes. Each dealer will have a book of plans. Before consulting the book, decide which features are important to you. With a little time and effort, determining your priorities is simple. 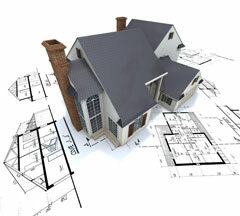 First of all, determine a budget as well as a size range for your new modular home. Specifically note the amount of bedrooms and bathrooms that you need. Ask yourself what you like about your current floor plan, as well as what you would change. If you have friends or family members who have floor plans that you really like, consider what you like about them. Finally, be sure to consider things like what kind of home will fit into your neighborhood, what kind of floor plan will work with your lot, and how the sun will affect the placement of your home. The dealer's book of plans will include a floor plan, which shows the location and size of each room, as well as an exterior elevation, which shows what the completed house will look like. You should be aware that just because a floor plan and exterior elevation are paired together, it doesn't mean that you can't make adjustments. Most floor plans can go with a variety of exterior looks. 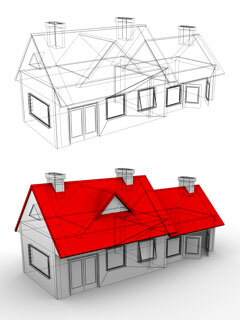 Similarly, there are many exterior looks that can apply to a particular floor plan. Depending upon your particular taste, you can go from having a simple exterior to a very ornate exterior. Also keep in mind that most plans can be upgraded. For example, if you see an exterior that appeals to you, but it doesn't include a porch or garage, there's no need to worry. The artist may not have included a porch or garage in the plan rendering, but both can be added to any exterior. Dormers and decorative gables can also be added, the slope of the roof can be changed, and roof overhangs can be made oversized. If none of the plans in the modular home dealer's book suit your needs, you can ask them if they can custom design a home for you. While many stick-built homes can't be built with modular construction, a modular home with similar features can often be constructed. Once you choose plans for your modular home, it typically takes about eight weeks to build the modules in the factory. Your builder will then need a few more weeks to construct the house onsite. In this short time, you can have the home of your dreams! Ritz-Craft is a modular home manufacturer that features more than 300 custom modular home floor plans. Ritz-Craft distributes its ranch, cape, and two-story homes to home builders, real estate developers, and active adult community developers, in 28 states. Palm Harbor offers a broad selection of customizable modular home floor plans that can be viewed at Model Centers across the USA. The HomeStore is a builder of custom modular homes in New England and the New York Hudson Valley. Modular Architecture features a series of home designs by Douglas Cutler Architects, that are engineered and formatted for modular building systems. Apex Homes offers modular home floor plans to meet virtually every taste and budget. Westchester Modular Homes is a manufacturer of modular homes in the northeastern U.S.
Nationwide Homes offers a good selection of modular home plans and features.